Microsoft skipped over the previous Windows 9 by introducing the newest version its OS, that is, Windows 10. The all new Windows 10 is no doubt the most excellent OS version ever created. However, similar to its predecessors, this version too has its whims as well as faults. And among the most commonly found problems people deal with is Windows 10 stuck on welcome screen. And today in the below article we will be discussing the best ways to deal with Windows 10 stuck on welcome screen spinning issue. Welcome screen plays a very important role as it is the interface with which one can use to log in to the Windows 10 computer through the accounts created by the users. And if you come across "Windows stuck on welcome screen" issue, no doubt you will be annoyed and stuck out from no access to your system. Well, the problem sounds quite common but it leaves you no where! The reason may be any for "Windows 10 stuck on welcome" issue—from a defective update of system to few other software issues. Sometimes, the "stuck on welcome screen Windows 10" issue is said to occur all of a sudden. Well, no matter what reason causes the problem, computers experiencing "Windows 10 freezes on welcome screen" issue are required t get fixed at the earliest. We have got for you the best and all the possible ways to get rid of "computer stuck on welcome screen" issue. Below are some of the nest yet simple ways to solve "computer stuck on welcome screen Windows 10" problem. Step 1: Firstly, click on the Power button present on the Welcome screen's bottom left. Press the Shift key present on the keyboard and simultaneously tap on Restart in the menu present above the Power button. Step 2: Tap on the Troubleshoot option present in the menu of Advanced Recovery Options displayed on screen. Now tap on "Advanced Options". Step 3: Lastly, tap on the Startup Repair option. 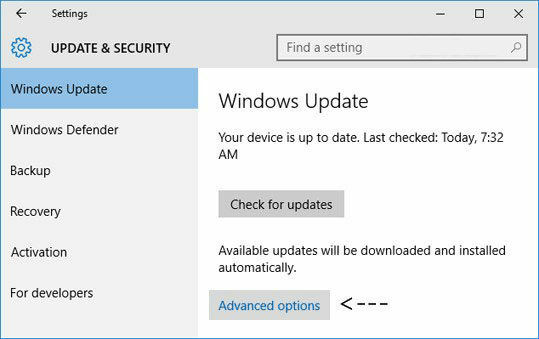 According to the Windows 10 version running on your system, the option available option will be Automatic Repair. Your system will get back to normal once the repair process is done. Another solution to the "Windows 10 stuck on welcome screen after update" issue is disconnecting all the devices that are externally connected to your computer. The externally connected devices such as keyboard, mouse, Bluetooth speakers, speakers, USB Wi-Fi adapters, USB dongles, and so on can be worked on. Once you disconnect these devices, try restarting your PC. When you are asked for your credentials while logging to the account, after then you can plug in the devices. Sometimes, Internet connection is the reason behind your "Windows 10 stuck in welcome screen" problem. Your system continuously attempts to establish a connection to the Internet. And in case it is not allowed to access the Internet, problem is ready for you on the welcome screen! So to get rid of this issue, take care that before logging in, you aren't connected to the internet. If any of the above methods don't give you success for solving "HP laptop stuck on welcome screen Windows 10" issue, all you can do is repair your system with the help of a bootable media. In case you have the media with you, use that too. Else, just take a fresh USB/DVD having sufficient space, i.e., more than 7 GB, and then utilize it for creating a bootable media. Take care that all the data present in the PC will be obviously deleted. So, it is better you take a back up of your data before going for this method. Follow below steps solve the "Windows 10 freezes at welcome screen" issue. Step 1: When you're done with creating the bootable media, simply insert it and start the booting process of your system. 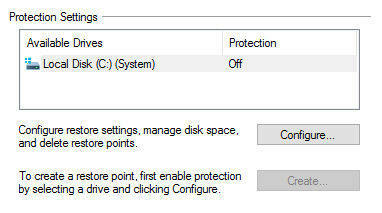 For this, go to your computer's BIOS settings and set the boot priority of DVD or USB drive to the highest level. Due to this, your system will always give priority to boot from the media inserted and not to the hard drive Windows. 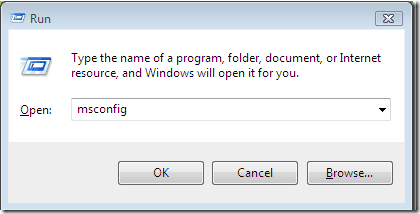 Step 2: When the installation process of Window is displayed, choose the option "Repair your computer". You'll get this option at the screen's bottom left side. Step 3: Once the next window is displayed, tap on Troubleshoot >> Startup Repair. Next, choose the Windows 10 OS to repair. Step 4: Wait until the repairing process is completed and your computer is restarted. Your computer's corrupt system files may be another reason for Windows 10 stuck on welcome screen for a long time issue. And hence, your Windows is stuck on the welcome screen. Well we have ways to run few checks that can check if any discrepancies are present on your system. Follow below steps to solve the issue. Step 1: First, into your computer insert the installation media. Now you have to enter the Repair Mode by following steps in Way 4. Step 2: Tap on Troubleshoot >> Command Prompt. Step 3: Now with the following commands, you can perform check on your system. You have to enter these commands in command prompt. Then wait until the scan of each command is complete. Well, there are a few commands, you'll need time since all the system files will be scanned. Finally, if your problem is yet unsolved, you can all time go for Windows Boot Genius. This software can resolve any problems including such as Windows 10 stuck on welcome screen, loading screen, blue screen, during restarting, black screen, in updating loop, and many more. You can also recover any data from unbootable hard disk with this amazing tool. In the above article, we saw the best ways to solve "Windows 10 stuck on welcome screen spinning circle" issue. We hope from the above discussed solutions, few were useful to you. We highly recommend Windows Boot Genius as the final solution. Do share your feedback in the below comments section.